It's Here! 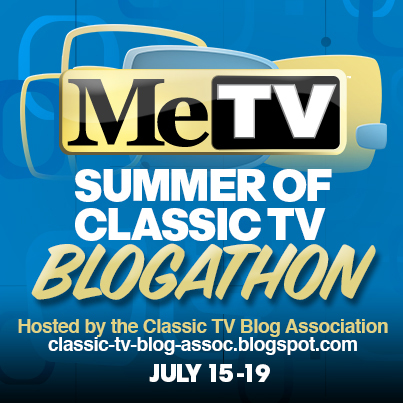 Me-TV's Summer of Classic TV Blogathon! 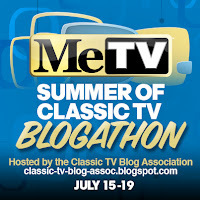 Welcome to Me-TV's Summer of Classic TV Blogathon, hosted by the Classic TV Blog Association. This week, from Monday through Friday, classic TV bloggers from across the nation will publish posts about TV series currently on the Me-TV schedule. It's a tremendous line-up that plays tribute to some of the best television sitcoms and dramas ever made. It's also an opportunity to visit many of television's most beloved characters, from Lieutenant Columbo to Mr. French, Felix and Oscar, Agents 86 and 99, Ralph Kramden, and Rhoda Morgenstern. And for more about Me-TV, you can follow it on Twitter or check out its web site or Facebook page. Finally, if you're interested in joining the Classic TV Blog Association, click on our membership guidelines page and, if your blog qualifies, send an e-mail to: classic.tv.blog.assoc@gmail.com.